Standard cameras include dome, bullet, cube and box cameras with high quality fixed or vari-focal lenses and resolution up to 10 Megapixel. Selected models include Wide Dynamic Range (WDR) technology for better image quality in scenes with high contrast between light and dark areas and Low Light Sensitivity (LLS) technology for clear visibility in low light conditions. Wide range of dome cameras for indoors and outdoors and selected models with built-in IR LED. ACTi offers the widest range of optical zoom cameras in the whole industry – domes, bullets, boxes with different sizes and zoom ratio options. All the zoom cameras come with true auto focus – extremely accurate self-focusing without requiring external PC’s support. You can manage zoom and auto focus either automatically, manually or by the event manager of the camera. Speed Dome I96 installed at the Stadium in France. One camera covers a wide area. Instant preset points with close-up views. An NVR server can serve as Redundancy Storage for other NVR servers. It records all surveillance videos directly from camera devices, logs and performs actions for real-time event notifications on behalf of the NVR server during system downtime. Authorized users may also access the Redundancy Storage when it is in use for live-monitoring or playback options. After the NVR server becomes available, the Redundancy Storage service will then automatically synchronize all recorded video and events back to the NVR server. Purchase the redundancy storage service license from ACTi sales representative. One redundancy storage computer will require one license, which can serve maximum sixteen (16) NVR servers. If you are going to install the redundancy storage on a computer, please go to Download Center to download and install NVR server program on the computer. All NVR 3 editions (Standard, Enterprise and Corporate) support Redundancy Server function. The license ordering number is LRDS3000. Powerful tools to centrally manage NVRs and cameras in multiple locations – no matter if on different floors or different continents. In a video surveillance deployment, especially with hundreds or thousands of cameras monitoring vast areas, it is ideal for the control center to employ a TV Wall display system. ACTi TV Wall offers the control center with excellent overview monitoring and provides high video quality with finest details. With the help of ACTi TV Wall, the system operator no longer needs to scale down video resolution or switch between layouts on one screen. ACTi TV Wall enables multiple views to be displayed on different monitors at the same time, supporting up to unlimited channels. ACTi TV Wall helps drive higher operational efficiency and does not let any critical moment go out of sight. 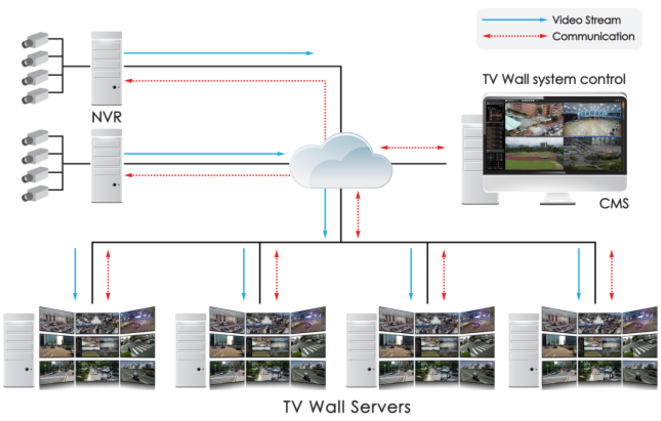 You can use one or multiple TV Wall servers that are connected to an unlimited number of NVR servers and cameras, all managed by CMS server. 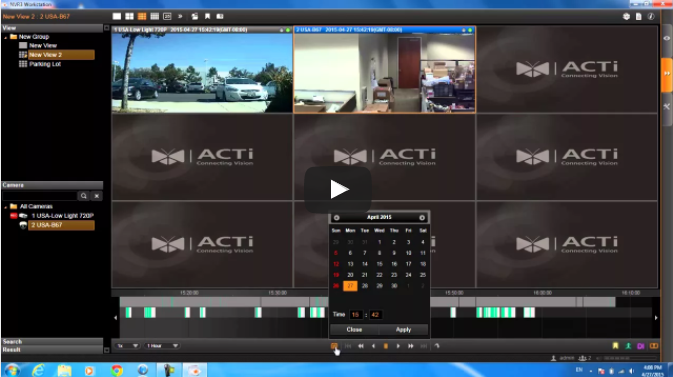 ACTi offers an end-to-end cloud-based intelligent media management systems, covering all the way from security surveillance to business management solutions. In the business arena companies are competing in, a huge amount of data is being generated through its collection in traditional databases and through the connection of devices to the Internet (Internet of Things). This big data can drive innovation, expand the understanding of a market, and create strong competitive advantages. However, to convert simple data into insightful knowledge, this data needs to be analyzed and filtered. The process of such conversion requires both huge amounts of storage for the data to be hosted in and huge amounts of processing power. ACTi, as a technology based company, is aware of this necessity. For this reason, it is taking the initiative to offer its new Cloud Media Services platform to generate data of every device involved in your business, store it as you go, and integrate it to later mine-out all those insights that will not only solve your day-to-day business challenges, but also put you in a stronger competitive position. This entry was posted in Networking, Products and tagged Acti IP Camera, Cameras for All Purposes. Bookmark the permalink.